EPDM is ethylene propylene diene monomer, a type of synthetic, high-density rubber. Standard commercial grade EPDM rubber is sulfur cured and has resistance to oxygen, weathering and ozone. Works best if the application is flat and not under stress. Common characteristics of EPDM are good aging resistance and broader temperature range and lower electrical conductivity. Peroxide cured EPDM is normally used for a broader range of temperatures and chemical resistance. Thermodyn Global Sealing’s NSF 61 approved EPDM sheet carries full certification and is branded with the NSF approved mark. 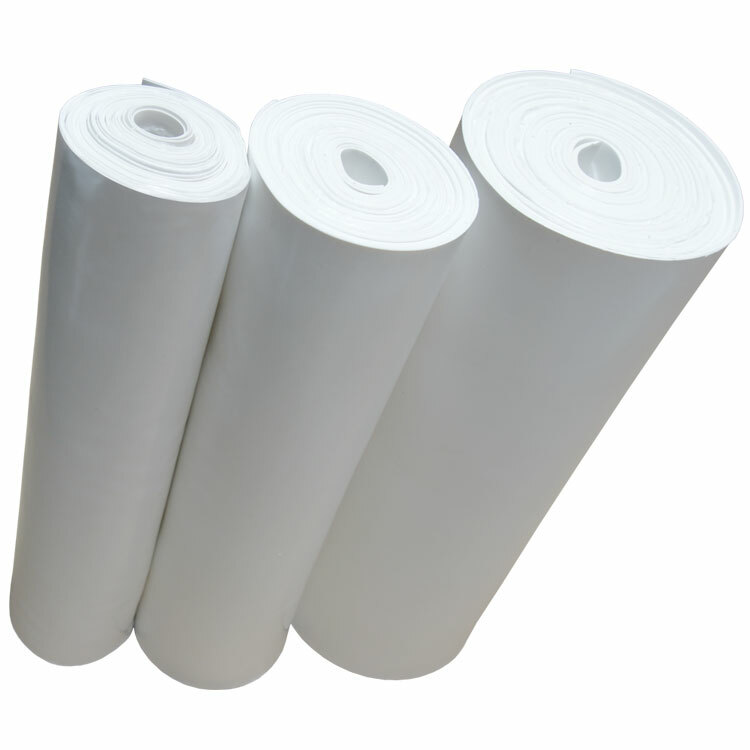 White EPDM is available for food or other sanitary applications. For mechanical fastening, high compression load on flanges and where excellent dimensional stability is required. Thermodyn Global Sealing carries a nylon inserted EPDM to complete the product offering with a CI or Cloth Inserted product option.